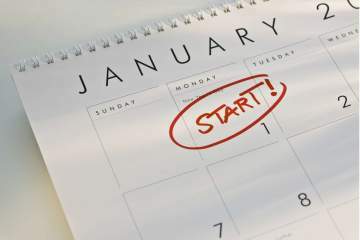 It has come to that time of the year when many of us start to think about our resolutions for the year ahead. Our thoughts and conversation topics often turn to our forthcoming good intentions, such as taking up a new hobby, finally signing up to that exercise class you’ve been putting off, or spending less each month on retail therapy (guilty). Stereotypically, it is also quite the norm for us to be too over ambitious with new plans. Being realistic, going to the gym every day of the week or cutting carbs permanently really isn’t going to happen. I’ve often fallen into this trap, severely overestimating my timescale, ability and well…my willpower to miraculously renounce all my bad habits over night. Whatever your goal, make sure it is realistic. This means being honest with yourself and deciding how much you can take on. Don’t set too many goals (epic fail). Plan ahead. Whether it be quitting smoking, cutting back on alcohol or simply being more organised, set smaller, manageable markers along the way that you can achieve every couple of weeks/months. Once you have completed the above, tell everyone about it! This achieves two things: 1. Now you’ve let everyone know, its embarassing to go back on your word or let others see you slacking, resulting in awkward moments trying (and failing) to answer for yourself and 2. You can surround yourself with a support group of friends to help keep you on track! Whatever your resolution, research other success stories, hints and tips on the internet, or speak to those with first-hand experience to keep you inspired. After all, 365 days is a long time to stay focused. My resolutions? To be more disciplined with my work & schedule, & make sure I get some regular me time in each week. I figure being more disciplined with myself = better time management, and importantly, less stress. (And now thats out in public, I feel even more pressure to stick to it – aha). Finally, heres to a productive and successful new year to all my friends, family and readers of afashionableleo.com and I hope you bring in the new year in style!